I will be the first to admit that I am late to this party. I’ve actually been on the lookout for these cute crellies since reports about them first started popping up back in February! I finally checked one of the higher volume Walgreens in my area and there they were! Even better, Sinful Colors was on sale when I was there so I got each of these for $1.50/ea. These luscious crelly polishes are part of the Sinful Colors Spring 2015 Bloom Blast line. They are easy to recognize because they all have a little sticker on the handle labeled “BLOOMBLAST”. There are three different polishes: Standing Bloom Only, Petal Be the Day and Flower Power. 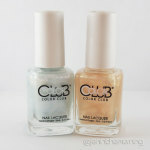 From the Sinful Colors website, it looks like these are intended to be treated as glitter toppers – like many crelly polishes, they are somewhat sheer and take 3 (or more) coats to become opaque on their own. I wanted to swatch each as a stand alone color, so I went undie-less for this review, so lets get started! Flower Power is a mix of tiny white and magenta glitter and medium white and magenta hex glitter in a milky, baby pink base. The polish was quite thick, but application was very no-fuss, with minimal glitter placement. This is three coats with a coat of Seche Vite on top. 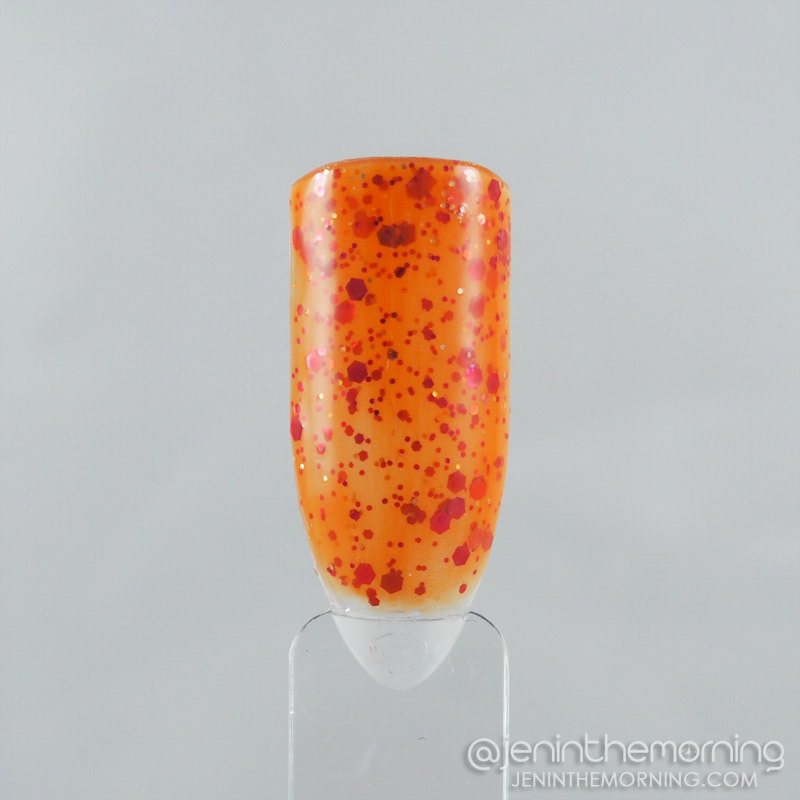 I love the colors on this one, they are great for spring! I don’t think you need an undie for this one, unless you just want a more lightly polished look. However, in some light, my tips – despite being wrapped – aren’t covered enough, so a light pink base could help with that issue. 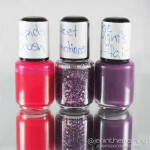 Petal Be the Day is a mix of large and small purple and blue metallic glitter in a very sheer purple base. This one is the most sheer of the bunch – much more sheer than it appears in the bottle! This one would benefit the most from an undie (I really want to try light blue under this). That being said, I don’t think it looks terrible on its’ own. You’ll never get full opacity with this, but on lighter skin tones, the light purple tint is very flattering and it did wonders for the yellow staining on my nails (particularly the ring nail). This is three coats with one coat of Seche Vite. I’m so glad I finally found these! I feel like more and more drugstore brands are stepping out and taking some hints from the indie brands and I have to admit I love it because the price is right! These are all versatile polishes and I love the colors. Standing Bloom Only is my favorite of the group, but I really do like all of them! If you can find them in your local stores, they are worth picking up!